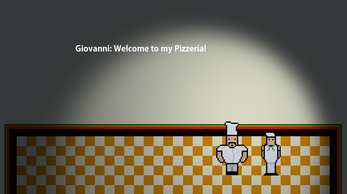 Welcome to Giovanni's Pizzeria! 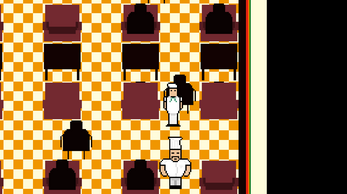 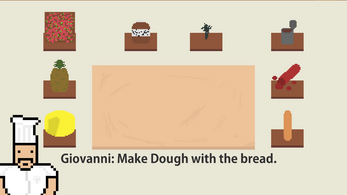 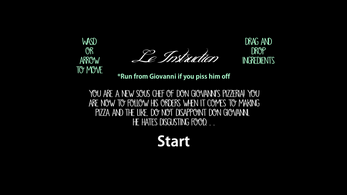 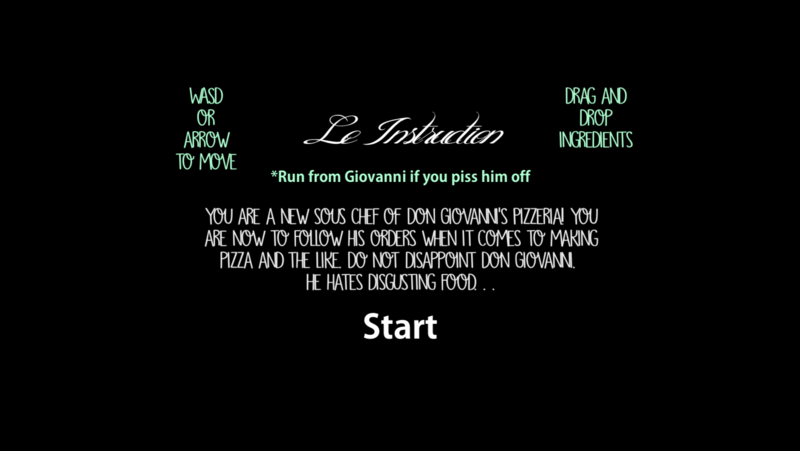 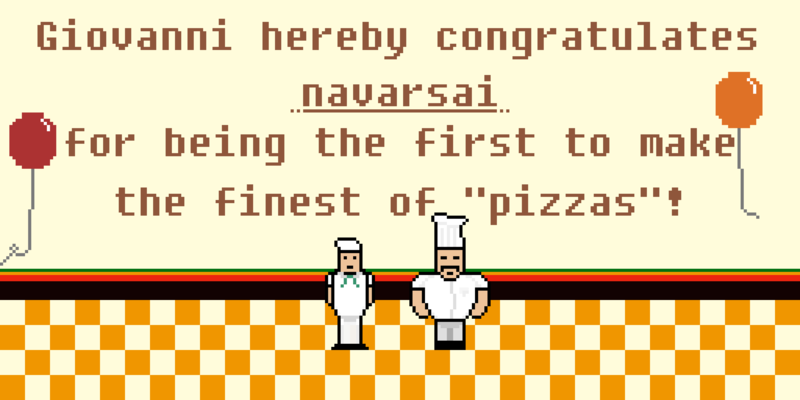 Help Giovanni achieve the Pizzeria dream by being his sous chef and help him make pizzas! 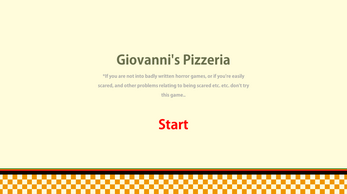 Note: I am really bad at writing games. 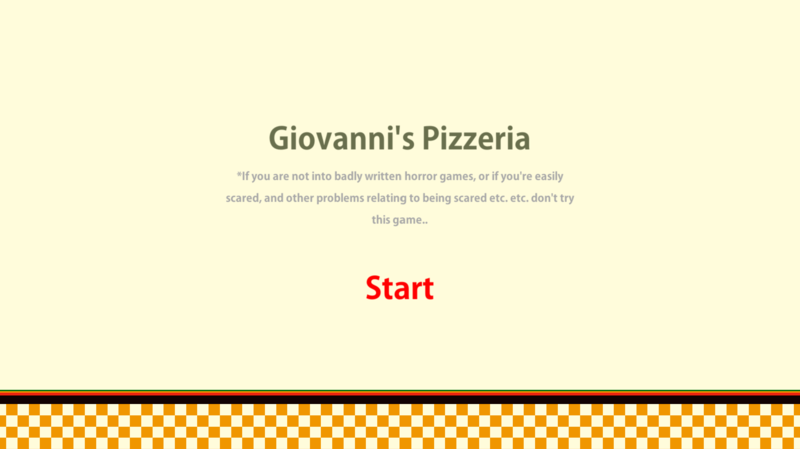 Have fun with G̵̩̲͉̫̈́i̵͉̺̿͗o̷̖͖͓͝v̸̗́ạ̶̡̬̮̀̓ņ̷̪͆̎͌͝n̶̨̅̔i̵̲̯͔̺͝!!! 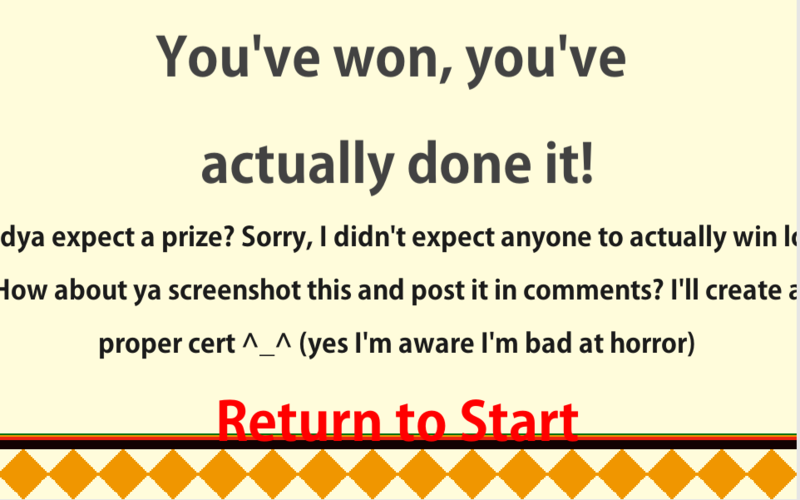 Thanks for at least trying out my game, knowing how rushed it is :D you're awesome for winning and finishing the game!